By golly it bloody well worked. I was more than a bit sceptical that this would work – mind you I’m tickled pink that it worked!! That means that my blocks will be just fine!!! OH HAPPYDANCE!!! 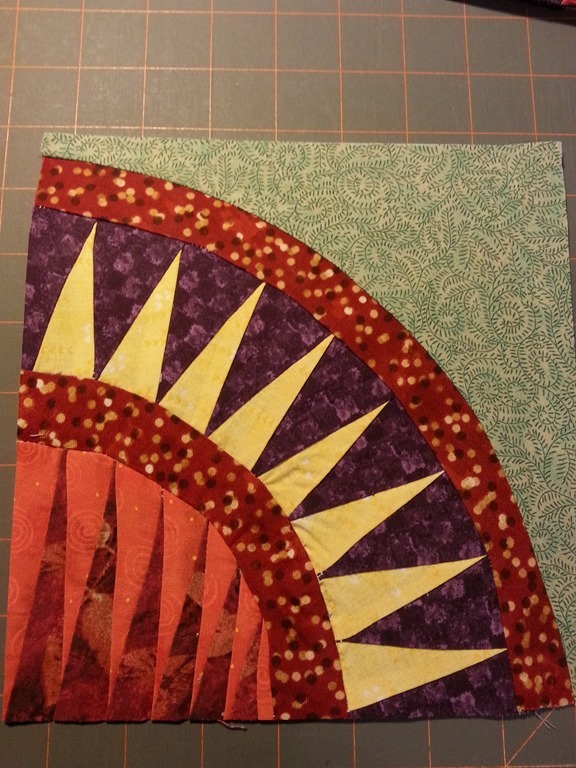 I’ve managed to frog and re-sew 3 blocks and only one block needed to have new pieces cut for the arcs so far. 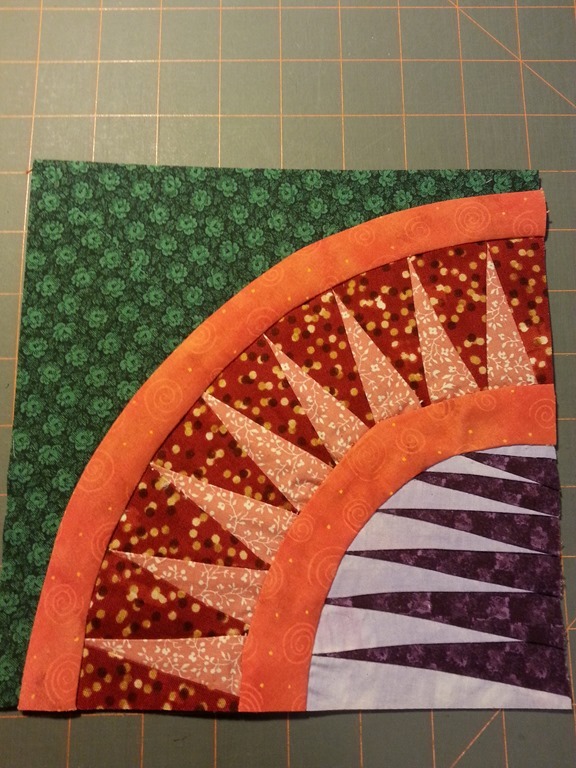 I was not about to frog the pieced arcs .. oh hellz no!!! Just the thought of that is enough to give me the uber heebie jeebies. 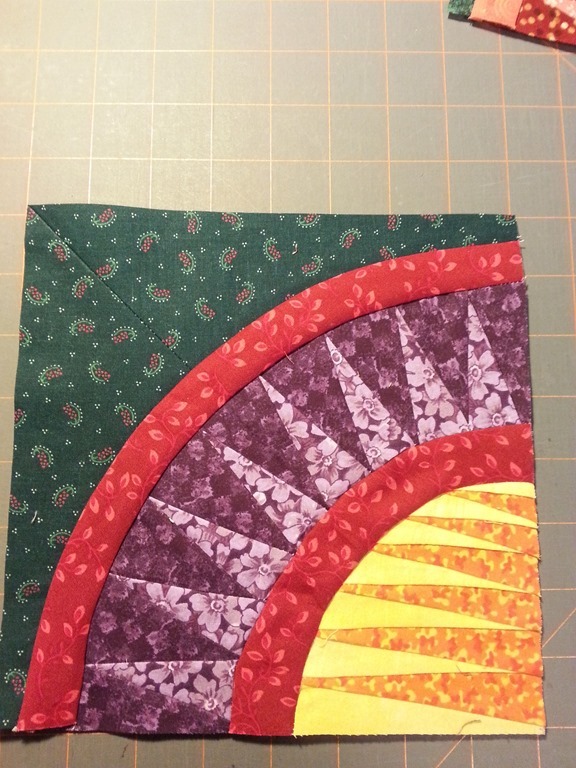 I might remake a few more blocks – with me doing the top down method it appears that my blocs are a smidge larger. 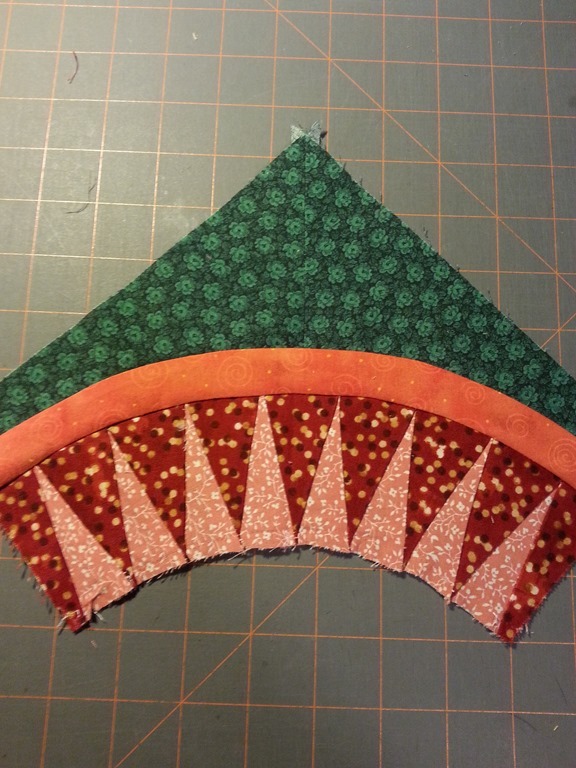 I’m reluctant to trim to much off while squaring these blocks – I don’t want my points landing all wonky on the seams. The blocks look great! 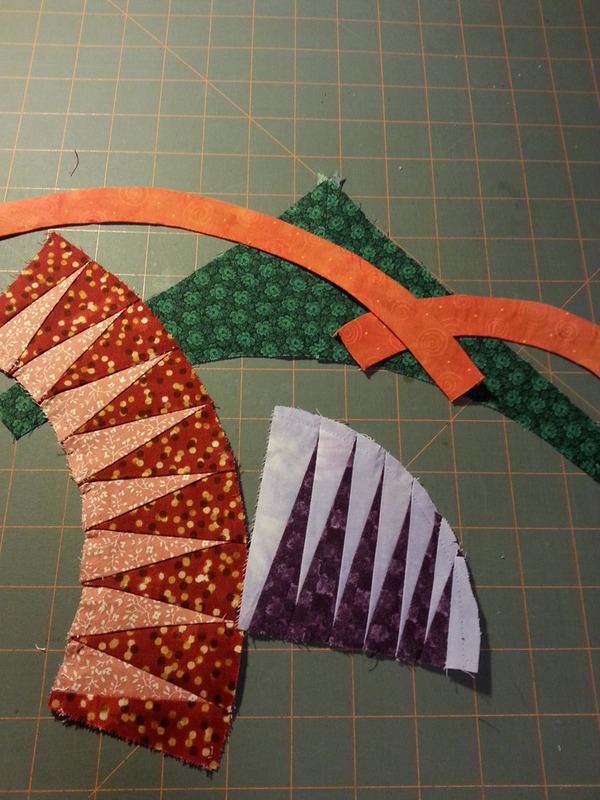 I really don’t know why one way works better than the other, though I know that when I was teaching the curves classes (quilting, not women’s exercising!) it was about 50/50 – half of the class got smooth(er) curves with the concave piece on top and half found that the convex on top worked better. I’m sure that’s something a physics person could explain. Or maybe even someone who sits and thinks about it for more than 3 sec… SQUIRREL!